We meet every week at two different locations in Berlin. People of all levels of English ability are welcome to attend, and no teaching experience is required. Small group discussions, one-to-one tutoring, and structured curriculum for advanced learners are offered. Our group includes newcomers, longtime residents, and Berlin natives, and we’re always happy to welcome new participants. Come join us! 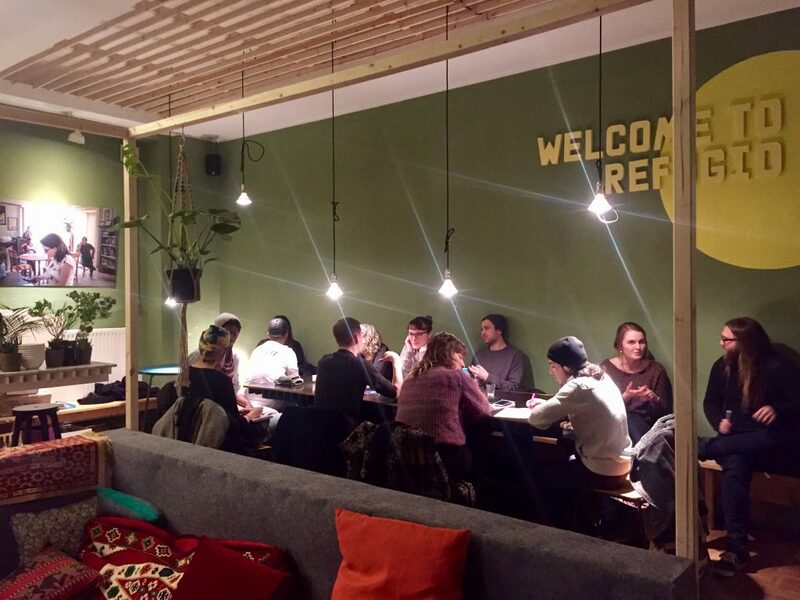 Tuesdays we meet at the beautiful café of Sharehouse Refugio in Lenaustr. 4, between Hermannplatz and Schönleinstr.